A Lumbar Disc Injury Does Not Last Forever! 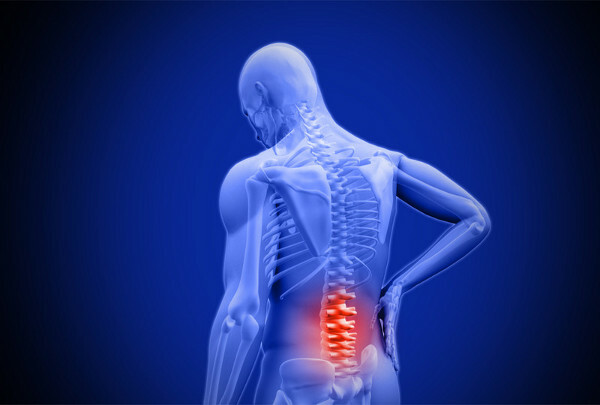 WILL MY LUMBAR DISC INJURY HEAL? You might be worried about your lumbar (lower back) disc injury, but here's what you need to know: vertebral discs heal just the same as any other tissue in your body! Just like ligaments heal when you sprain them, just like muscles heal when you tear them - discs heal when we injure them as well. Discs are predominantly made up of water and have a hard outer casing - they're very similar to cartilage and all other joints. When discs get injured they have the same inflammatory response as any other damaged tissue. It can be really painful once the inflammatory process settles, because they are located right in the middle of our body and right around a lot of nerves. However, disc bulges or injuries are not forever - they can heal just the same as other tissues in your body. Study shows that the larger the disc injury, the more likely it is to heal without any intervention (particularly surgery). This study showed that ninety-six percent of large disc injuries progress or resolve all on their own without any surgical intervention. If you had a disc injury, or if you've got an image that's showing some scary words about discs, there's nothing to worry about - IT WILL HEAL! As always - if you have pain that lasts longer than 3-5 days, you need an expert opinion. Reach out to your local, trusted physiotherapist for the best way forward to getting you moving well and feeling great again! Older PostWhat Is Vertigo And BPPV?